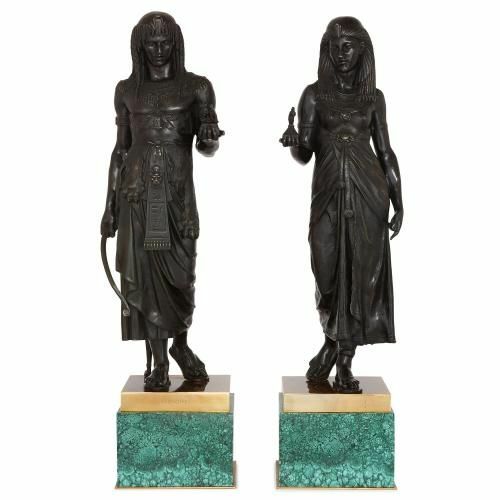 These fine and large Empire style bronze sculptures are expressive renderings of Ancient Egyptian figures, including the legendary pharoah Nitocris. 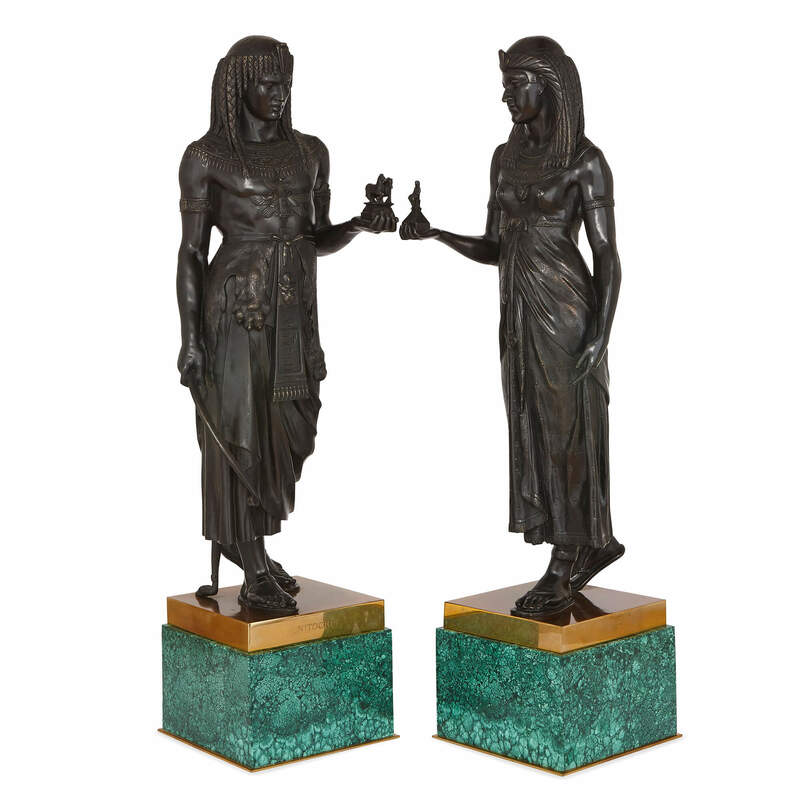 These large Empire style bronze figures are expressive, sensual pieces of sculpture, set on beautiful green malachite bases. 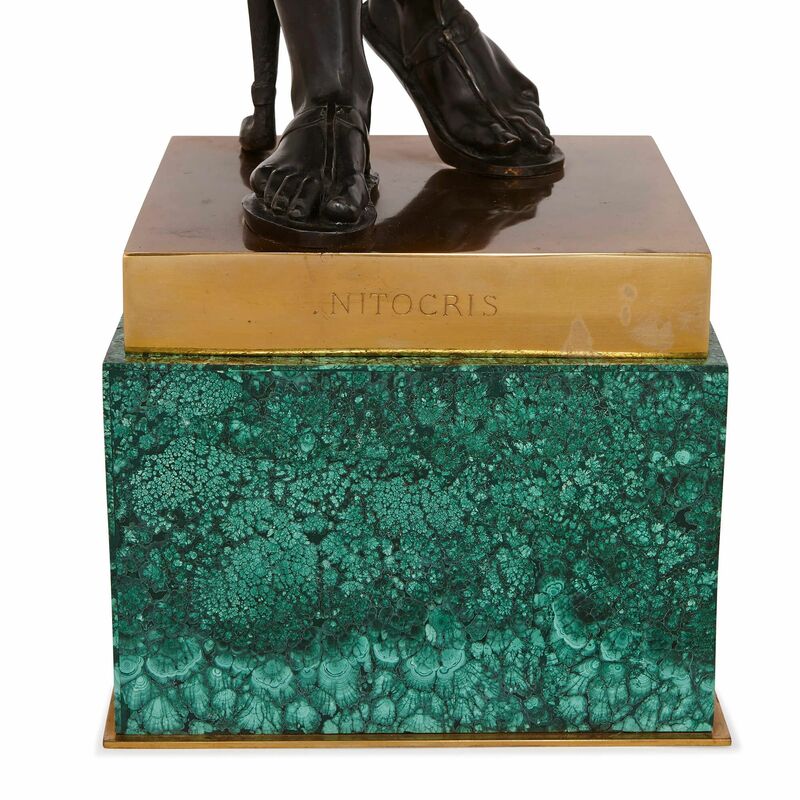 Each figure measures around 80cm in height, and is cast from a rich, dark, patinated bronze with fine detailing. One figure depicts a full-lenth Egyptian male figure, while the other depicts a full-length Egyptian female figure. 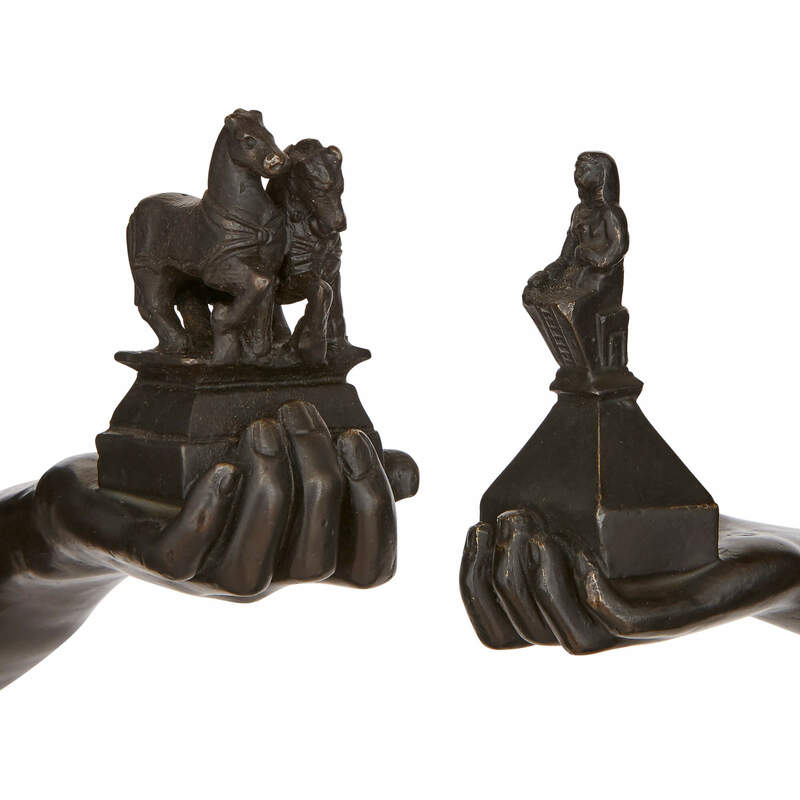 Both figures are shown holding smaller sculptures in their hand: the male figure holds a model of two horses, while the female figure holds a seated Pharoah. 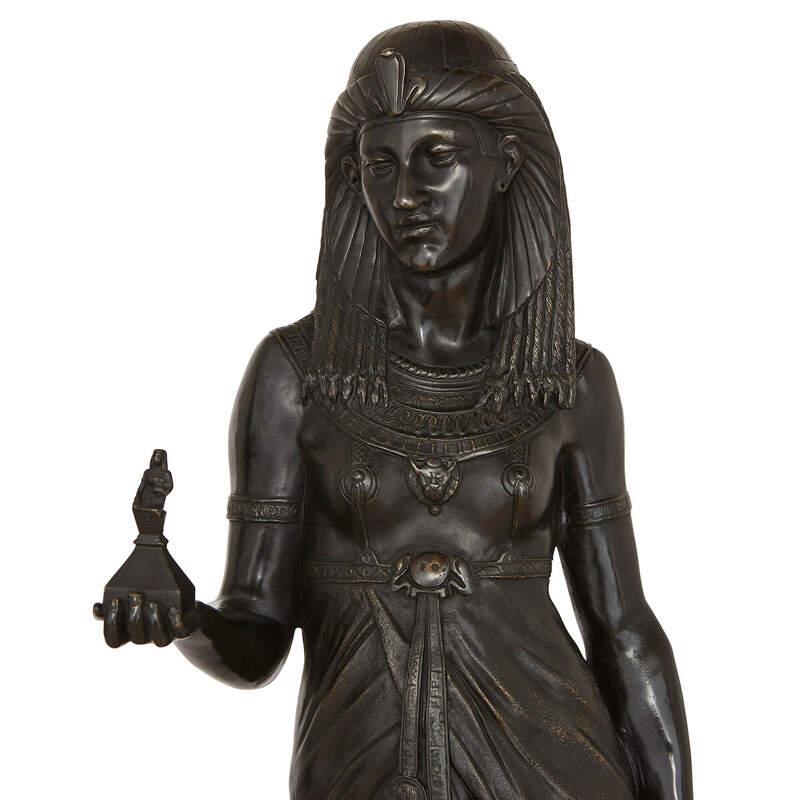 Both are set on square ormolu plinths, one of which is impressed with the name 'Nitocris', after the legendary (and probably fictional) Egyptian Pharoah who appears in Ancient Greek historian Herodotus' Histories. Interest in the art of Ancient Egypt began to take root following Napoleon I's invasion of Egypt at the end of the 18th Century. 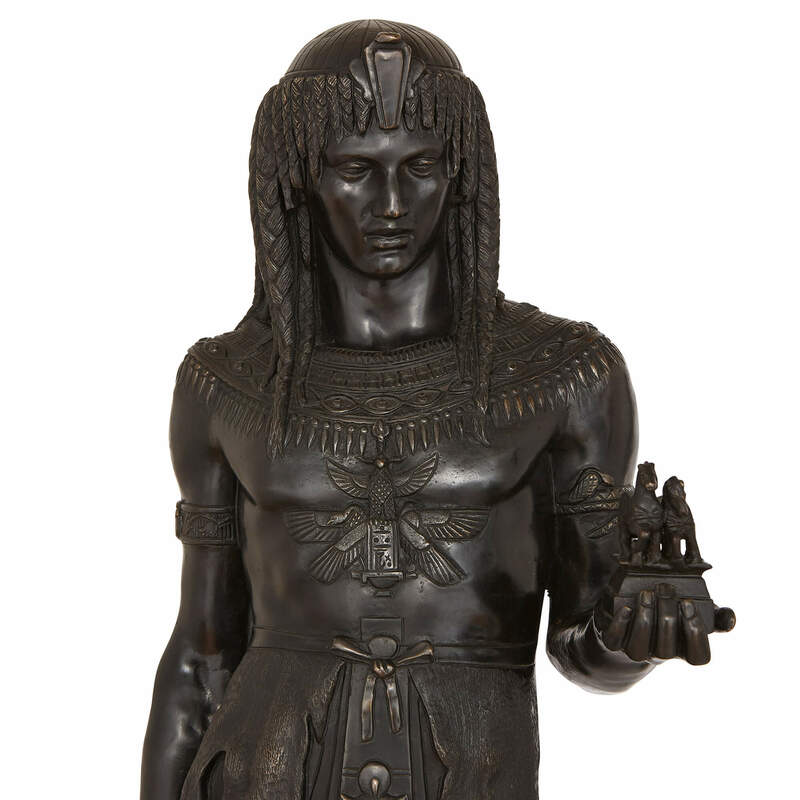 It is for this reason that the so-called Egyptian Revival style in the decorative arts is often seen as an offshoot of the so-called Empire style, the dominant decorative style in the age of Napoleon.